James Wilson netted a brace on his debut. 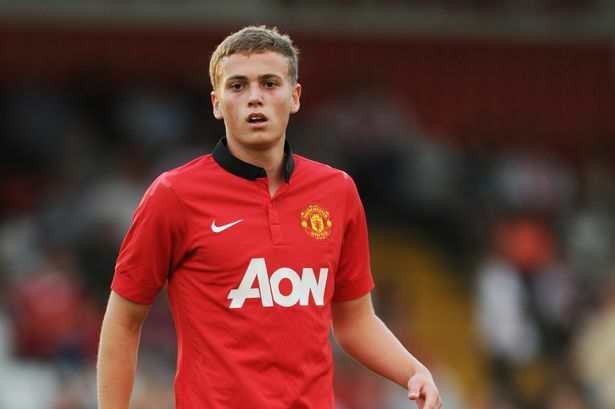 Manchester United striker James Wilson scored two goals on his senior debut last night. The 18-year-old struck either side of half-time against Hull City to help Ryan Giggs’ side to a 3-1 win. Wilson, who has netted 19 times for the youth side this season, was named as part of a frontline with fellow youngster Tom Lawrence, who has been on loan at Yeovil Town for most of the season. Wilson has scored five times in six UEFA Youth League appearances this season and been a regular across all of United’s youth sides. The striker has also found himself in the England under-19 squad and has made three appearances to date. Watch Wilson’s two goals below.